Formula Smiles Foundation improves the quality of life of the needy Colombian children and its environment by implementing programs that instill values through sports and recreation. 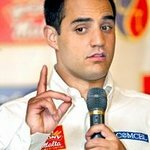 The organization was set up by race car driver Juan Pablo Montoya. Google trends for "Formula Smiles Foundation"
We don't have any videos related to Formula Smiles Foundation.